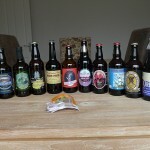 Following up from the £1 Ale Taste Challenge a few weeks ago I thought I would let you in on some of the ales i have been buying from the supermarkets over the week or two, not only have I found some absolute crackers I have manged to try/buy quite a few new ales. Netto 18th birthday beer – Notdrank this one yet but it’s 99p and specialy brewed for Netto to celebrate their birthday. Moorhouse’s Pendle Witch,Black Cat and Blonde Witch – From 99p to £1.25 in Netto – great drinkable session beers. Sainsburys have just finished there 2009 Beer competition so have lots of new ales in, plus their bigger stores tend to stock some great beers anwyay. 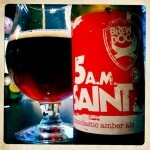 Tesco have also got their hands on some great beers from the likes of Flying Dog, Brewdog, Wylam and Hambleton – especially if you are lucky enough to have a big Tesco with the beers of the world section. Morrisons and Asda also had a rather large selection of £1 ales mainly from the larger brewies such as Wychwood and Shepherds Neame. My local Asda even has a local beer section with 2 or 3 beers from the local area in. 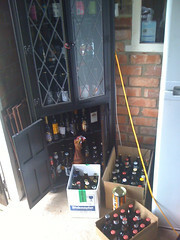 Netto had a good range of Wychwood, Shepherds Neame and Moorhouses plus a few others including their birthay beer. 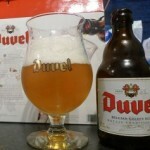 Bargain Madness (B &M) – Barnsley Beers – cheap but not great (see review),Celebration, Leffe, Wychwood, Speckled hen, Theakstons and quite a few more including a couple of Cornish beers and some lagers. I’ve not been in Aldi for a while but they quite often have some of their own brand beers plus a few Wychwood ones. What is obvious is that the shops are starting to sell more and more ales, not always the best ones but hopefully if people by enough of them they will start to stock more. If you are interested in what is on offer in the supermarkets then check out http://theormskirkbaron.blogspot.com/ as he keeps that pretty much up to date. Thats alot of beer there! how come you have stocked so much? or is that normal? Erm not normal, it got a bit out of control because i got a case of mixed ale from work for my birthday, then a case off the boss’s son in return for a rucksack i gave him, a case from beermerchants and then all the ones i got from the supermarket plus ones ive been saving! Think I’ll have to take a trip to Netto next week as I’ve not been before but would like some of the Moorhouse ales, they are normally pretty pricey. Our home bargains is tiny too, it’s only just started selling beer and wine so i was quite pleased when i found the beers in there. i think the beer in morrions was availble in leeds as someone from real ale reviews got one – other than that im not sure where its in stock. Your beer cupboard is getting bigger and bigger – I like it! !